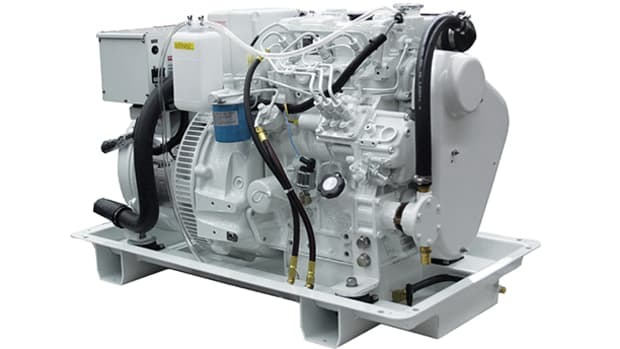 Azimut&apos;s fuel cell genset derives energy from gasoline. Future versions will use diesel fuel taken from the boat&apos;s diesel fuel tanks. The days of gasoline and diesel are rapidly coming to an end. With more than a quarter of the northern polar ice cap gone this summer and unprecedented drought in the southeast and west, even Dubya is becoming a believer. Whatever one&apos;s beliefs on global warming, it seems clear that many aspects of our lives are going to change, and that includes our boats. The engines currently in them will eventually be outdated. But what will replace them? 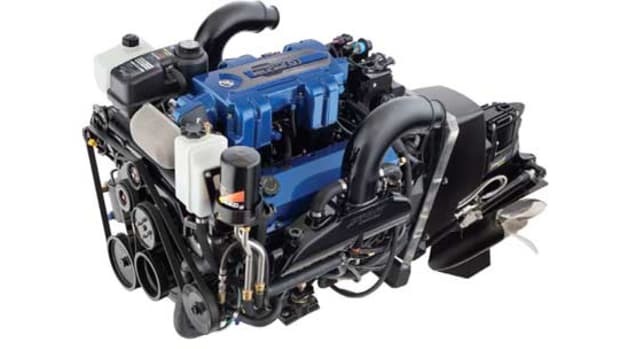 Are boat and engine manufacturers even thinking about the end of the petroleum era? Sure they are, for their very lives depend on adapting to this new reality. Boating is not going to go away, but it—or more to the point, the internal combustion engine—will have to adapt. That’s why every major engine manufacturer and many boatbuilders are working on new designs that will use less fuel or, better yet, no fossil fuel at all. How close are they? The answer depends on what strategy you’re talking about. Basically there are three: hydrogen-powered fuel-cells, hydrogen-powered internal combustion engines, and petroleum-electric hybrids. 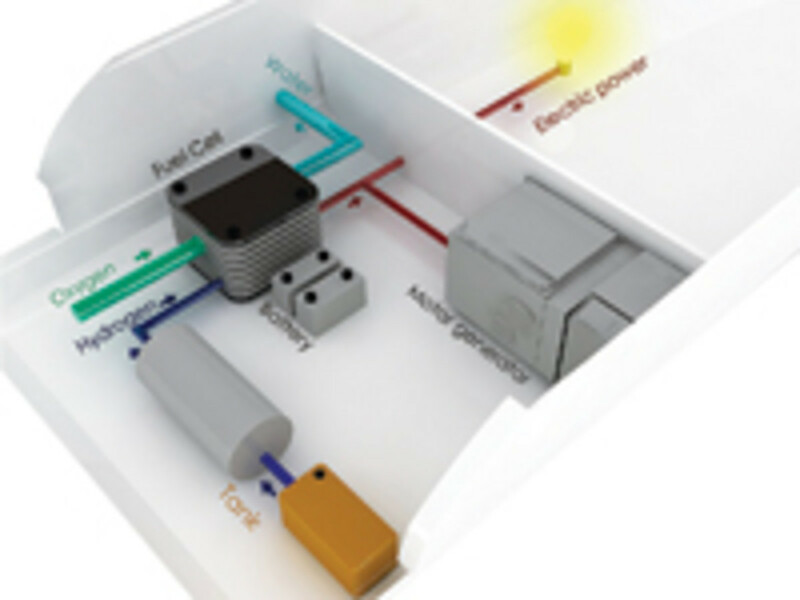 Hydrogen-powered fuel cells are the ideal solution. Hydrogen is the earth&apos;s most abundant compound. It&apos;s in everything from gasoline and diesel fuel to water—it&apos;s essentially inexhaustible. Hydrogen also has a good safety record: Some 785 million cubic yards of pure hydrogen are produced every year, mainly for use in the production of fertilizers and petroleum refining, and accidents are nearly unheard of. From a marine standpoint, it&apos;s attractive because unlike gasoline and propane, it&apos;s lighter than air; if there&apos;s a leak it won&apos;t settle into the bilge. That&apos;s a good thing because when combined with oxygen, it is as explosive as gasoline (volume for volume, hydrogen contains three times the energy of gasoline), so safety precautions are necessary. 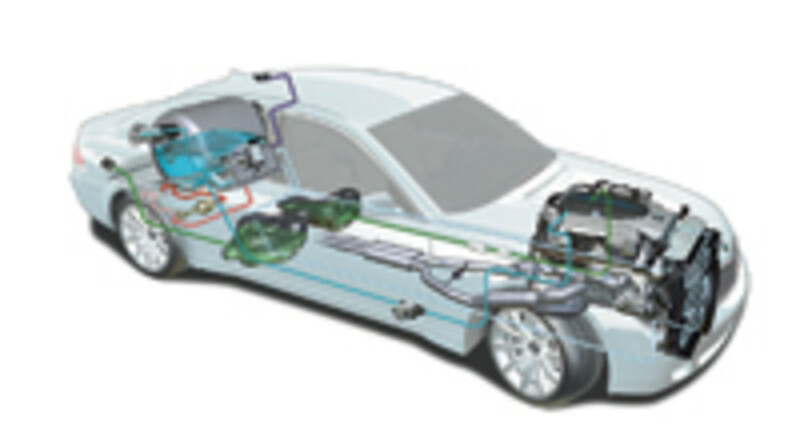 BMW&apos;s Hydrogen 7 has a proprietary fuel tank that keeps hydrogen in a liquid state. But what makes hydrogen so attractive today, beyond its abundance and the fact that it can be 100-percent domestically produced, is that when burned, the only by-product is water vapor—no particulates, no visible exhaust, and, most important, no CO2. In many ways it&apos;s the perfect fuel, except for one major problem: Hydrogen is rarely found in its pure state. 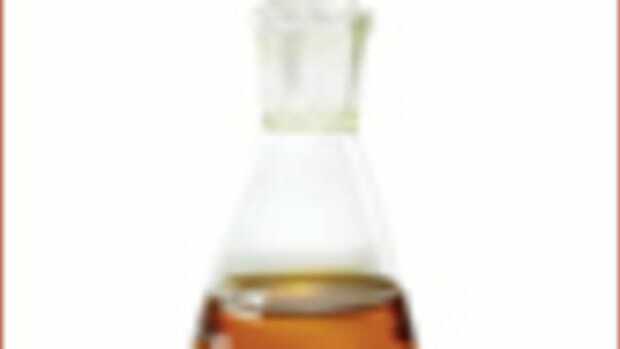 It&apos;s usually chemically bound to other elements such as water (two atoms of hydrogen bound to one atom of oxygen). Extracting it is a process that consumes considerable energy (and thus money), and unless the source of that energy is nonpetroleum-based, such as wind or solar, that means the creation of greenhouse gases. A less thorny issue is storage. In order to accumulate a reasonable amount of energy, hydrogen gas must be kept under very high pressure—around 10,000 psi—and that means very strong and heavy storage tanks. Fortunately, a lot more hydrogen liquid can be stored in the same space, but to get and keep hydrogen in that state, it must be kept at very low temperatures—around -418F—which requires highly insulated tanks, such as those on the Space Shuttle’s booster rockets. (Ever notice how steam pours off them just before liftoff?) Like natural gas, hydrogen gas can also be transported in pipelines to terminals where it can be liquefied. Which brings us to another obstacle to hydrogen-powered boats: There aren’t many (like none) hydrogen fuel docks in the world, so refueling—at least for the present—is a real problem. Assuming you can get the stuff, the ideal way to use hydrogen is in a fuel cell, which converts it to electricity through a highly efficient chemical reaction—no moving parts, no sound, no vibration. Hydrogen-powered fuel cells also have a proven track record: They&apos;ve been used in space for decades with excellent results. But because of the current financial and energy costs associated with extracting, storing, and delivering hydrogen, hydrogen fuel cells are a long way from being practical and affordable primary power sources here on Earth. For sure, someday boats will be able to extract hydrogen from sea water and deliver it directly to a fuel cell that will produce electricity to power electric propulsion engines, but most experts I interviewed say that that day is at least a decade away. So what can we expect in the interim? 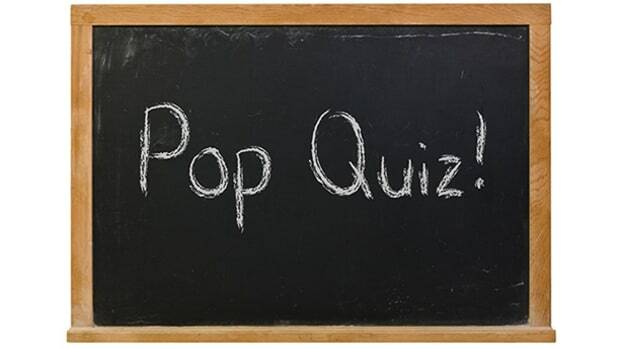 Two strategies that are being tested as this is written provide clues. One was developed by a car manufacturer, the other by a boatbuilder. The former debuted at the recent Los Angeles International Auto Show: BMW&apos;s Hydrogen 7, a 7 Series sedan equipped with an extensively modified but still relatively conventional V-12 that can run on either gasoline or hydrogen. As you might imagine, the exact details of the engine modifications are proprietary, but the company claims the car meets its goal of producing "a vehicle whose driving characteristics are comparable to our current high-performance cars." The Hydrogen 7 automatically switches from one fuel to the other when a tank is empty, or the driver can select hydrogen operation by pushing a button labeled H2. BMW says the switchover is undetectable by passengers, as is any difference in performance. Current genset technology makes electricity and emits CO gases. Speaking of tanks, one of the most interesting aspects of the Hydrogen 7 is its storage tank, which holds 17.5 pounds of hydrogen. It&apos;s actually two tanks, one inside another and separated by a layer of carbon fiber and a vacuum chamber. To keep the hydrogen in liquid form, the inner tank is insulated with 40 layers of aluminum foil that although thin is said to equal the insulative properties of 56 feet of Styrofoam. The tank adds weight and compromises the car&apos;s trunk capacity, neither serious issues on a boat. Refueling the tank with hydrogen is said to take just a bit longer than it does the gasoline tank and involves slightly different fittings to prevent loss of the gas—that is, once you find a hydrogen fueling station/fuel dock. With its 50K prototype, the Italian boatbuilder Azimut is taking an entirely different approach. It&apos;s starting small, focusing on replacing the conventional genset with a hydrogen-powered fuel cell. 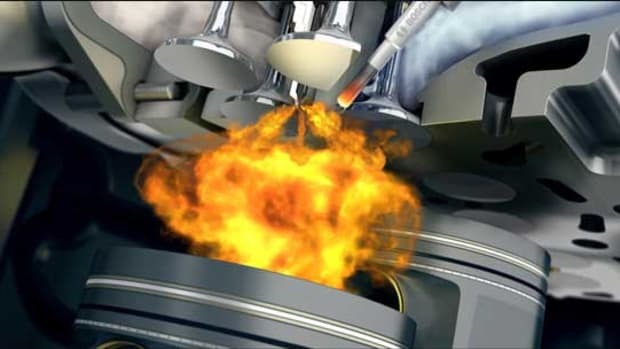 Instead of grappling with the fuel-tank issue, engineers have installed a device called a reformer that extracts hydrogen from gasoline contained in a separate fuel tank. Gasoline is used because it yields hydrogen more easily; subsequent models will extract hydrogen from diesel fuel stored in the boat&apos;s main fuel tanks. Sea water is another possible source, but a crucial determinant of whether this system is practical is the amount of energy demanded by the reformer. Under current technology, more energy would be required to electrolicize sea water than a fuel cell supplied by it could produce. Although rated at 12 kW, Azimut&apos;s fuel cell actually generates 6 kw and relies on a bank of large batteries to supply the other 6 kw during peak loads. Since all output is D.C., an A.C. inverter is also part of the package. 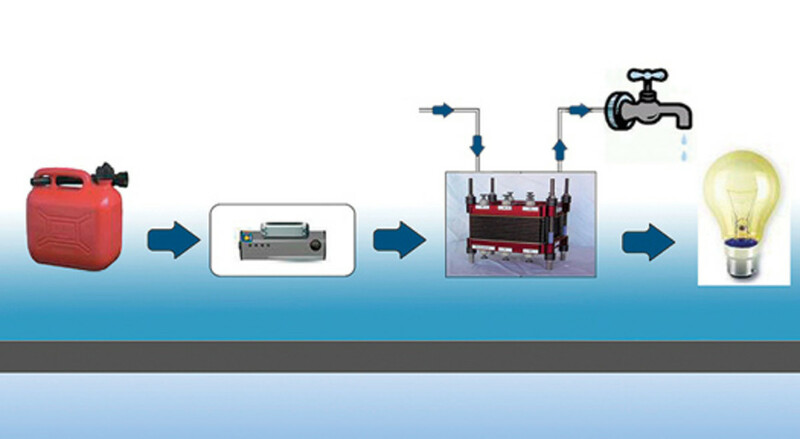 The system was subjected to one year of bench testing before it was installed in the 50 back in August, and when I interviewed him in October, project manager Simone Bruckner said it was performing well, generating at 70 percent efficiency compared to about 30 percent for a conventional genset. Being a fuel cell, its only emissions are water vapor and a tiny amount of CO2 from the reformer. As for sound levels, Bruckner says there&apos;s only a barely perceptible hum (in the engine room) from a pair of circulating fans. The 50&apos;s fuel cell is about half the size of a comparable diesel-powered genset, but the reformer adds to that envelope. Ultimately Azimut expects the entire system to be about one and a half times the size of a comparable diesel-powered genset. 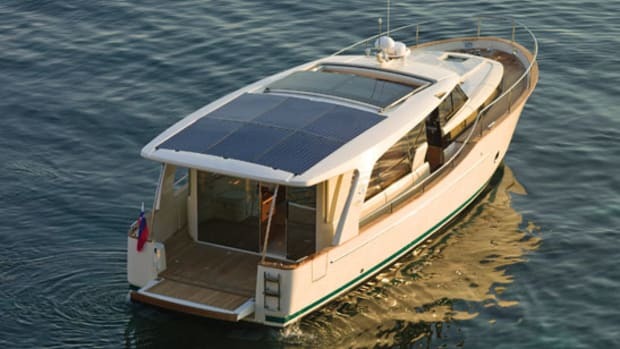 Azimut&apos;s new system generates electricity and pure water vapor. The big question with the Azimut system—and for that matter, BMW&apos;s hydrogen/gasoline-fueled engine—is price. While the cost of fuel cells is dropping, they&apos;re still far more expensive than conventional petroleum-powered gensets. Bruckner estimates that if Azimut&apos;s system sees full production—and he&apos;s relatively optimistic it will—it probably wouldn&apos;t be economically practical for a boat of less than 60 feet. As for BMW&apos;s Hydrogen 7, it&apos;s not even for sale yet. Test vehicles are being offered to what the company terms "influential public figures who...will demonstrate the start of an exciting new era of clean energy." In the meantime, other not-so-radical technologies may have to fill in the gaps. The Ferretti Group is said to be working on a diesel-electric system that uses conventional diesel power in the open ocean and electric power in harbors and ecologically sensitive venues. Ferretti expects to unveil the system in October at the Genoa Boat Show. 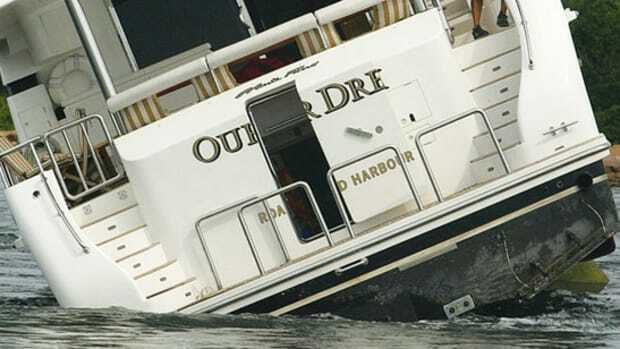 At the other end of the spectrum, Scout Boats of Summerville, South Carolina, recently introduced the 145, a 14½-footer it developed in conjunction with Lenco Marine, best known as a manufacturer of trim tabs. 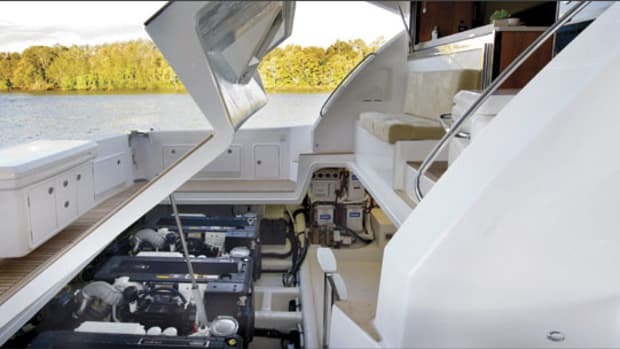 The center-console boat is powered by a 20-hp Yamaha outboard and two 36-volt Lenco electric drives, all controlled by a helm-mounted joystick that replaces the wheel. Scout says the 145&apos;s electric drives can run up to eight hours on its fully charged deep-cycle battery bank. No word on speeds. Obviously all these technologies represent different paths toward a common goal: reducing or eliminating petroleum from pleasureboats. While still impractical, they hint at some of the big changes we&apos;ll be seeing in the next few years. Whether or not these particular systems provide the answer to the crisis scientists insist we are facing, their developers have firmly placed themselves on a leading edge that should yield big dividends later. 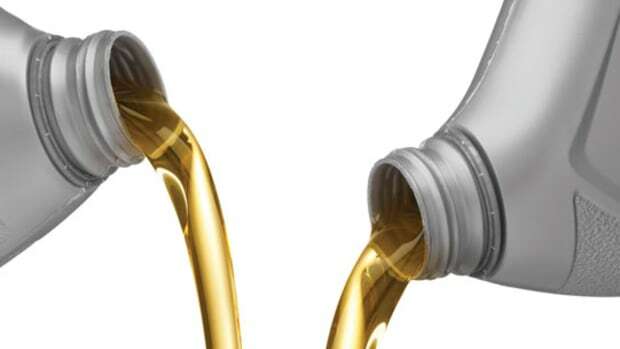 What Brand of Oil and Filters Should You Use on Your Boat? Should You Have a Sound Shield on Your Generator?